CDs, zip disks, diskettes, microfiche and data cartridges are more sensitive to heat than paper records, so the MediaVault is specially designed to protect them from the harmful effects of heat, as well as humidity, dust and magnetic fields. 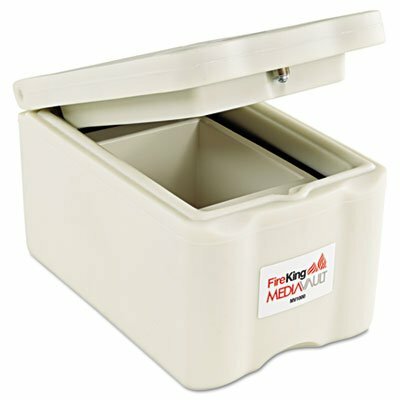 MediaVault offers a UL 125 one-hour rating for insulated record protection. Compact MediaVault works as a stand-alone unit and is small enough to fit under a desk or credenza. Features a privacy key and .2 cubic feet capacity. Interior dimensions 6-1/4" x 8-7/8" x 5-3/8". Weighs 74 lb.